We’re happy to announce eTceTeRa as our first 253 Business Spotlight. This is Sky Creative’s FAM Business Spotlight. We will be interviewing local businesses and distributing information on the products they have, the story behind them and how they involve themselves within the community. Tacoma is a diverse area with many local businesses. We want to be able to highlight these businesses for all that they do in and for the community. 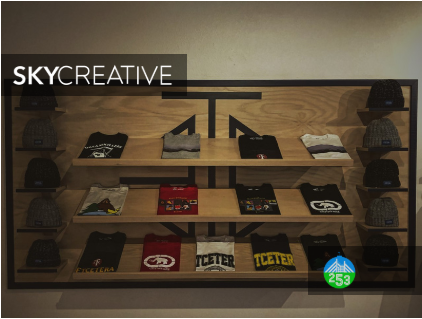 We’re happy to announce eTceTera (eTc) as our first 253 Business Spotlight. 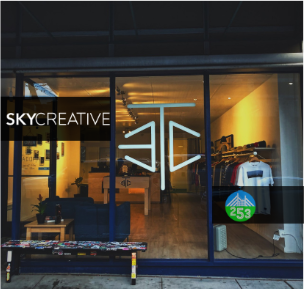 We at Sky Creative believe that eTc shows the Tacoma culture through work ethic, community, and fashion. 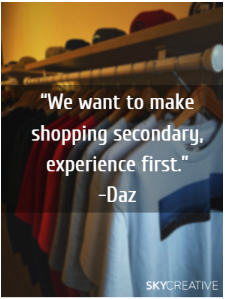 We interviewed store manager Daz to gather more insight on their flagship store in downtown Tacoma. When asked what eTc was, Daz remarked that they are both independently and minority owned fashion and retail business. The brand started as a standard boutique store but has grown into a powerhouse for their own clothing. Focused on streetwear fashion, the brand is heralded both for their brand and popular retail store; often inspired by pop culture, video games, and sports alike. Located downtown on Pacific Avenue, eTc has been steadily growing buzz as the most popular brand in Tacoma. Daz later mentioned that it hasn’t always been that easy, when they started the business four years ago they were considered to be a niche market. It was the beginning of a new culture in a primarily non-minority part of Tacoma. Money is important, but they’re in the game for the connections one can make in the setting they’ve created. Shopping, running the courts in NBA2K and conversing about more than clothing all come with the eTc experience. For eTc Tacoma is not just the location of their store, it’s much more than that; the city is one of eTc’s biggest inspirations. From work ethic to artistic motivation, the Tacoma community and lifestyle has influenced all aspects of the team. When asked how Tacoma inspired the brand, he mentions the diversity of Tacoma has been harnessed for display in one store. This community that was created is continuing to grow now. Daz remarked that he loves meeting people who aren’t from Tacoma but know about their clothing, as it shows the growth of the brand over time. Ultimately eTc drives to support hometown pride through their branding. “What’s the best part of eTc?” Daz asked, “I need to say it’s the people in our community. We want to make shopping secondary, experience first.” This belief of creating a welcoming and fun environment for patrons has created a family vibe between the workers and clients. “We wanted to create a retail space in Tacoma where everyone can enjoy their time.” Daz remarked. “I think we’ve done that.” But what does the future hold for the highly coveted brand? When asked about what will happen within the next five years, Daz responded with ““eTc everywhere,” he continued, “eTc Tacoma is the store, eTc is the brand”. Online exclusives have been set on sale for releases, and they want to continue to grow from that strength. The ability to open new stores outside of the downtown location is a goal for the team. Daz mentions that they hope to continue to promote Tacoma as they grow. As December begins, eTc will be releasing Tacoma Dome inspired pieces throughout the entirety of the month. These items will be available online and in store. You can learn more about releases and upcoming events such as open mics on all social media platforms by following @etctacoma. The brand is always looking for creative ways to engage with the community. If interested, feel free to visit the store located at 907 Pacific Ave, Tacoma, WA.